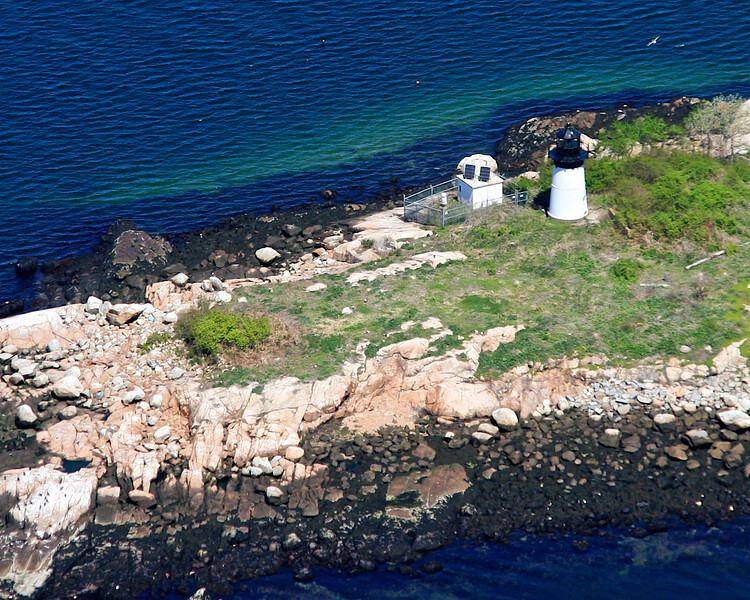 A collection of aerial images of the Lighthouses of Massachusetts. Ten Pound Island Light. Established in 1821 with the present light built in 1881. It is a 30' tower, a 57 foot focal plane, and is made of cast iron with a brick lining. The light has a three second red flash, alternating with three seconds of darkness. It is located on Ten Pound Island in Gloucester Harbor, Massachusetts.